Fairy tea parties are fun for the young & the young at heart. 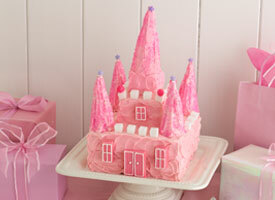 Little girls love tea parties and adding fairies to your theme makes them all the more delightful. Let your creativity flow for invitations. You can add scrapbooking embellishments, glitter or sequins to computer printed invitations, or create your own by hand. There are a various styles of large sized cooke cuttersthat can be used as a template. Make them in the shape of butterflies, flowers or teapots. Use a pretty scrapbook paper or paper doilies and add scrapbook embellishments. You can include an individual tea bafalong with the invitation. Be sure to give your guests enough advanced notice so they won’t miss out on the fun. The sky is the limit on frilly decorations. Use a pretty lace tablecloth on the table, sprinkle silk rose petals upon the table to make it more inviting for the flower fairies. Hang colorful nylon butterflies or dragonflies from your chandelier or in windows. Fairies are said to often disguise themselves as dragonflies. Tie bows or fairy wings to your chairbacks. Decorate liberally with real flowers or things from nature, berrys, acorns, leaves etc. You can also make old fashioned paper tissue flowers. Of course you will need a pretty porcelain teapot along with teacups & saucers. Maybe you have your grandmother’s vintage teapot or cups & saucers. Many are readily available at your local thrift stores. Mix & Match is fine for fairy tea parties. If you have a cherished family heirloom you may want to avoid using with small children as accidents to happen! Place a paper doilyliner between cup & saucer for a special touch. Use real linen napkins or any of the many beautiful paper napkins now available. Make paper napkin rings or fashion some from silk flowers. You can make pretty place cards that match the theme of your invitations. For serving pieces mix & match silver serving pieces, crystal & china platters, pedestal cake plate, sugar & creamer. Sugar tongs can add a touch of class to your party. Don’t forget to set a small table at your tea party for the fairies. Use a miniature tea set or make a fairy set using leaves for plates & acorn tops for cups. Tradition says that fairies are attracted to bowls of milk, barley, cake, sprinkles & glitter. Have a variety of flavored tea available. There are fruity & flavored varieties that may be more appealing to children. You can also serve pink lemonade or even ginger ale from a teapot for those that really don’t want to try the tea. Have sugar cubes rather than granulated sugar, kids just love them. You can even buy decorated sugar cubes. Tea sandwiches are a must, so make a variety of shapes & styles. Kids love pinwheel mini sandwiches. Between 2 pieces of wax paper flatten bread out with a rolling pin, spread with favorite topping, peanut butter, jelly etc. Roll up into a log shape & slice. Cut crust less bread in to any fancy shape with a cookie cutter. For fillings try chicken salad, cream cheese with thinly sliced cucumbers, peanut butter & bananas, or flavored cream cheese. For Fairy sandwiches use butterfly cookie cutter, thinly spread butter or cream cheese on single slice of bread, cover in sprinkles. Don’t forget fairies are attracted to sprinkles. 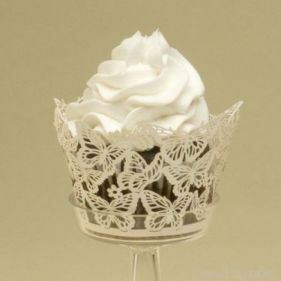 BE SURE TO VIEW OUR Cupcake Wrappers Liners Cupcake Toppers~ IDEAL FOR FAIRY TEA PARTIES! Purchase 2 store bought pound cakes. Cut your cakes into 1″ squares, insert toothpick in center & freeze for 30 minutes. Purchase milk chocolate, semi sweet chocolate, white chocolate or colored flavored candy melting pieces. Melt in microwave according to package directions. Holding each cake square by toothpick dip in melted chocolate & set on a plate or tray. Remove toothpick. Decorate with sprinkles, mini chocolate chips, marzipan flowers, or nuts. Pop into freezer for just a minute or so to harden chocolate. Serve on tid bit tray or footed cake plate. Be Sure To Sing A Round of “I’m A Little Teapot” Try a variation on the memory game played at many showers. Fill a pretty silver tray with tea or fairy related items (tea bag, sugar cube, spoon, tea strainer, flower petal etc) Have someone walk through the room & let guests look at tray. After the person leaves the room the guests will write down as many of the items as they can remember. Guest with the most correct wins. Traditional musical chairs is always a hit. Decorate the chairs with paper cut-out teapots Have a dress up box with boas, pearls, hats, costume jewelry & even fairy or butterfly wings. Sweet demitasse spoons, decorated with hearts, roses or teapots. I made charming Fairy Dust Bags for my granddaughters. Fill a small organza bags with iridescent glitter. I added beads to mine & included a small acrylic heart so their wishes would be filled with love. Make individual sachets, paper fans or pretty fairy wands. Cut out paper stars decorate with glitter & curling ribbon & attach to a 12″ piece of small wooden dowling.